Dust off your grill apron: summer’s here and we’ve got some cooking to do! When I think of summer meals, I think of corn on the cob, hot dogs, potato salads and burgers. But I’ve come to really like sliders – a tiny version of a burger that have grown in popularity over the last few years. I like them because typically they are much smaller than a traditional burger so you don’t have all the guilt of a big, oversized burger. 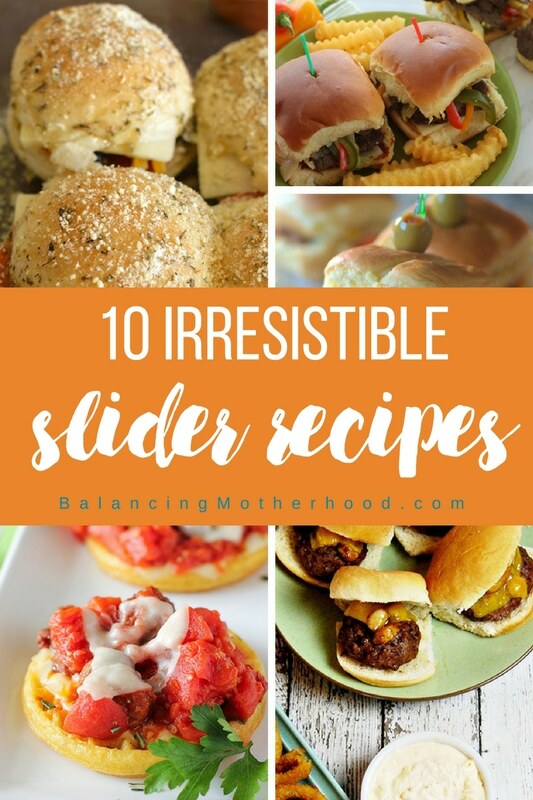 Today, I’ve rounded-up 10 very impressive slider recipes. Serve several as a main for your next backyard get-together, or stack up a bunch of sliders on a serving dish as an appetizer. Which slider recipe is your favorite? Look at these Cheddar Garlic Meatball Sliders from thetiptoefairy.com. They are so simple and elegant, if you can call a slider elegant! And these Grilled Honey Mustard Chicken Sliders from thebakingfairy.net look like they will melt in your mouth. Reminds me of the Alice Springs Chicken from Outback Steakhouse.